Bulk Actions for Gravity Forms WordPress Plugin offers users 1 click selection options to select all, none or inverted selections. Once you’ve selected the fields you need, your all set to start optimising your forms. Selecting the right fields you need quickly has never been easier in Gravity Forms, and we’re just getting started. Bulk edit fields allows for quick editing options across selected fields. Edit individual field labels, add field class names, or set the required status across multiple fields. Need to apply the same option to all your fields? We’ve got you covered! 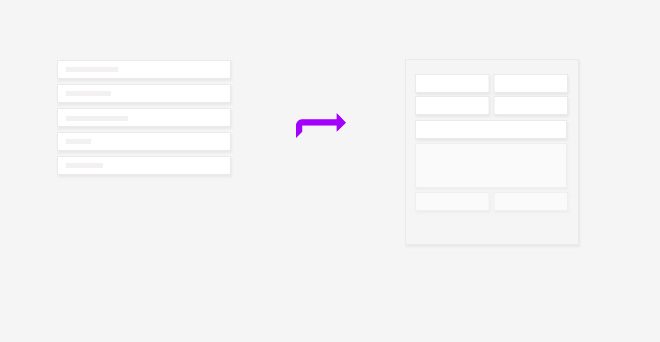 With Bulk Actions fro Gravity forms – multi-select any form fields and instantly duplicate them inline to streamline your Gravity Forms workflow. Bulk Actions for Gravity Forms reorder function makes for super quick drag drop of individual or multiple form fields a breeze. Get your form fields in the order you want in seconds. Select 1 or all your fields and reorder your fields with ease. Built as a super light weight add-on to Gravity forms, Bulk Actions for Gravity Forms means you don’t need to install heavy plugins to get the job done. Bulk Actions for Gravity Forms extends gravity forms to make for super fast form editing and management. Bulk Actions for Gravity Forms reorder function makes for super quick drag drop of individual or multiple form fields a breeze. Get your form fields in the order you want in seconds. Bulk duplicating fields or sections allows you to quickly repeat fields or groups of fields to expand your form easily. Repeat fields effortlessly with bulk duplicate function withinBulk Actions for Gravity Forms. Quickly and easily remove fields from lengthy forms but deleting multiple fields at once. Couldn’t be easier. The ‘Copy to form’ function in Bulk Actions for Gravity Forms allows you to quickly build new forms based on preexisting fields across all your forms. Ever needed to copy a group of fields from a form into either a new or existing form? The ‘Copy to form’ function in Bulk Actions for Bulk Actions for Gravity Forms WordPress Plugin allows you to quickly build new forms based on preexisting fields across all your forms. This is great for users that find themselves reusing similar form fields across a number of gravity forms. Purchasing the Pro version allows you to use Bulk Actions for an unlimited period of time. It’s not a recurring subscription. For continued support and updates, all licenses must be renewed. Renewals have a 25% discount!